It's always a tense moment when you put some of your favourite clothes in the wash, especially those delicate pieces you just know might shred or shrink with the slightest increase in temperature or speed. I'm always crushed when an item reappears too sizes too small and sadly, last week, the washing machine claimed another one of my dresses. Love your dress/top story :-) This has happened to me so many times & I've never thought to do what you have. How clever! It looks fab too :-) You look great. Oh you look so pretty, your top is lovely! Cute! 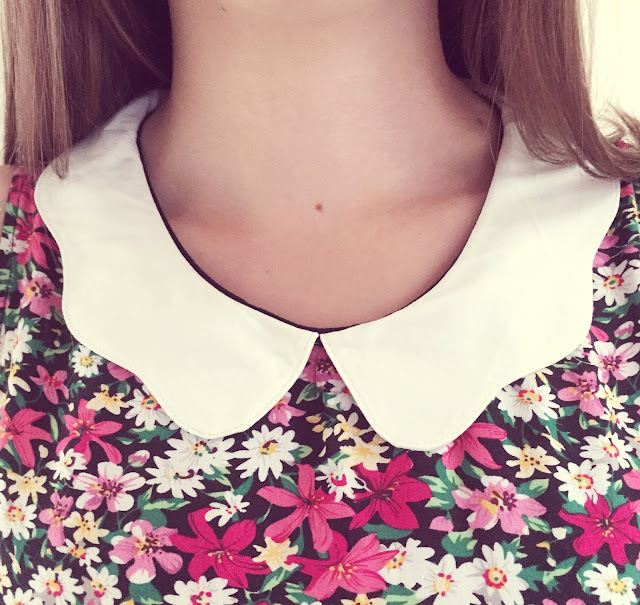 I love the peter pan collar! That collar is simply adorable! Love this look. You look gorgeous! Loving the leather and florals! This outfit is super cute! I'm loving the fringe bag, it is a such key piece this summer - need one also :)! Perfect skirt Helen! You look great! I love it! you are so pretty! I really like this look, and it really suits you. Loved you outfit and the look very much ! Your skirt is truly awesome! you look super cute. i like that skirt! Love your watch !!! Also beautiful shoes.. ! This leather skirt is great! I love your blazer! such a chic and cute outfit! hello! 'I relly like your blog I just have founded it randomlie! Ypur picks are so sweet as your style is ogc! would u like to follow each other and be in touch? Your top is very cute! Such a cute look, summery & fresh! Wow you look amazing! That skirt is hot! I love how you paired black with floral print! Adore this look! So cute between the mix of leather & floral! Your outfits are always great ! Love it! Oh, this is adorable. Love the florals. So cute, lady. That floral print is adorable on you! Lovely outfit, and its great getting to recycle something has another piece, I have done this many of times. You look beautiful...loving this skirt! I love that skirt. It adds edge to a girly look. You little cute thing ! People always try to make their outfit attire full of fashion and look beauty which suited on your outfit attrie eith combination of pretty pink dress and look for fashion jewellery. Gorgeouuuus ! 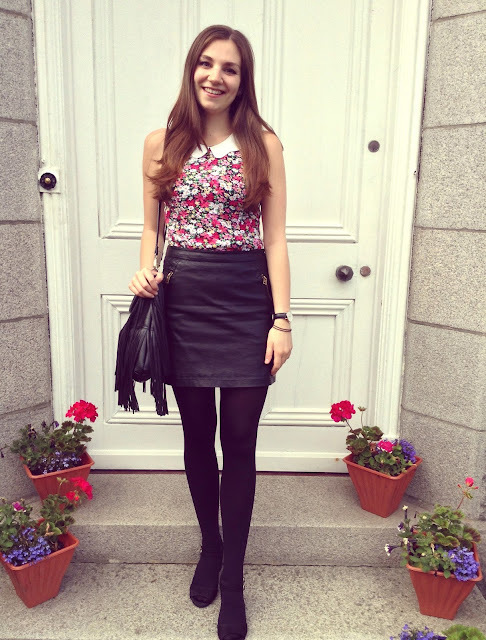 Love the association of floral prints and leather ! Love d skirt and bag :) pretty !! Lovely outfit. 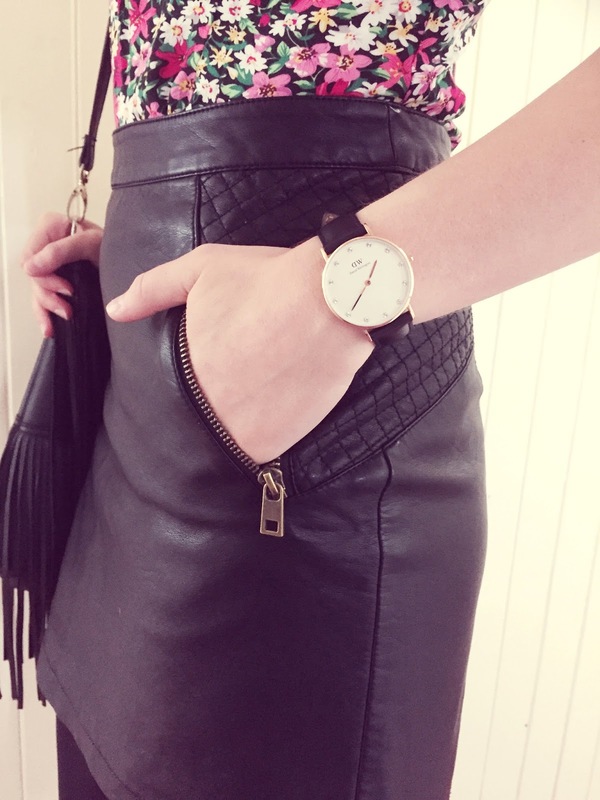 Love the skirt and that watch is in my wishlist now..